The professional and experienced attorneys of Yeboah Law Group, P.A. in Fort Lauderdale are dedicated to advocating for the rights of clients and pursuing maximum compensation. If your injuries were caused by the negligent actions of another, don’t trust your case to just any personal injury lawyer. Rely on a law group with a proven track record of successful personal injury outcomes. Obtaining a successful outcome for any of these circumstances requires in-depth knowledge of statutory law and case precedent. With more than two decades of experience, our team has identified specific legal complications that may directly impact a personal injury case. We provide you with strategies for preventing these obstacles or fighting against them if they arise in your case. Gather names, dates, and identities of witnesses. Record witness descriptions. Take pictures of the accident scene, property damage, and physical injuries. Record everything you can remember about the incident while it is fresh in your memory. Keep copies of your medical and insurance records so you can provide them to your attorney. Contact our office soon after the accident/incident so we can guide you in collecting and preserving these documents and other relevant evidence. The earlier you get us involved, the better your chances in winning your case. 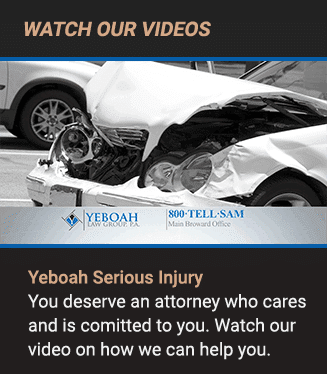 At Yeboah Law Group, our personal injury attorneys work on a contingency basis. There are no upfront fees because we don’t get paid unless the case settles or proceeds successfully through the litigation process. Instead of worrying about how to afford a South Florida personal injury attorney to represent your interests, you can focus on getting your life back. After an injury, you may have many questions and doubts running through your head.  Perhaps you’ve experienced a situation that doesn’t clearly fit into one of the listed personal injury case types. Maybe you think it has been too long since the incident in question. You might even question whether you have a case at all. Contact Yeboah Law Group for thoughtful answers. You can call us at 1-800-TELL-SAM or complete our contact form to schedule a free consultation.